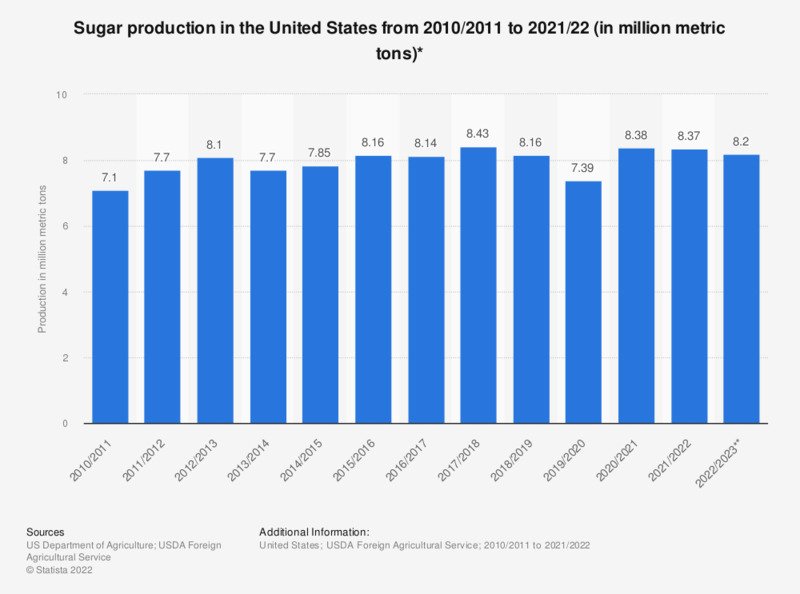 This statistic shows the sugar production in the United States from 2009/2010 to 2017/2018. As one of the leading sugar producing countries, the United States produced approximately 7.2 million metric tons of sugar in 2009/2010. The world sugar production amounted to about 165.8 million metric tons in 2015/2016.